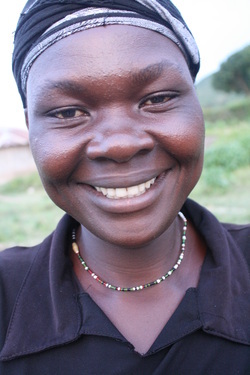 Judith is a young widow with 4 children. Her husband died nearly 7 years ago in a car accident while Judith was pregnant with her youngest daughter. Judith is a hard working woman who has proven her trust and responsibility. She has been elected as the President of the Orphans and Widows with Hope Group for two years and helps organize the group’s development, food pick-ups for the widows and the education program. Judith is requesting a loan of $1345 U.S. Her Business start-up will be a retail shop that sells household items. Her business will be the first of its kind in the area, saving people money and time from having to travel to the next town to purchase these items. Judith states that the demand for these items is high and she has experience in household retail but has lacked the capital in the past to start her own business. After a 1 month grace period Judith intends to make monthly installments of $56 to the groups bank account. Once her loan is paid back in full it will be paid forward to another family in need.